Due to certain medical conditions, some drivers may need to have the windows of their vehicles tinted or "sun-screened" in a way that is not legal for other drivers. This page explains how to certify your need for sun-screening and get a medical exemption certificate from the MVC for a specific vehicle. First you need Form MR-15: Request for Medical Exemption to Apply Vehicle Sun-screening [pdf]. You may also request this form by phone at (856) 853-4115. A licensed physician must answer the questions on the form and sign it. 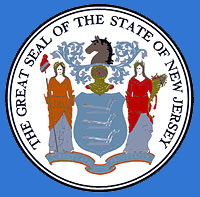 Mail completed forms to the New Jersey Motor Vehicle Commission, West Deptford Regional Service Center, 215 Crown Point Road, Suite 100, West Deptford, NJ 08086. Within three to six weeks, the MVC will mail you a medical exemption certificate that authorizes you to have specially sun-screened windows. The certificate is only valid for one driver and one vehicle, both of which are specified on the card. Sun-screening businesses are required to check your "medical exemption certificate" before applying sun-screening that is not permitted under ordinary circumstances. All window tints must meet New Jersey guidelines to pass inspection. JG Holdings of New Jersesy, Inc.
Richard E. Richie Enterprises Inc.